Pieces en trio. 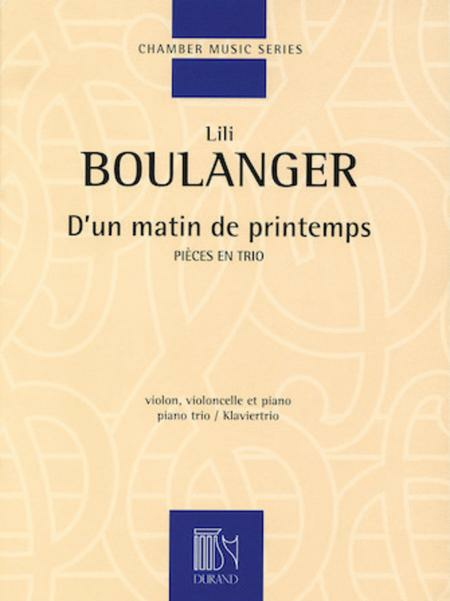 Composed by Juliette Marie Olga (Lili) Boulanger (1893-1918). Editions Durand. Classical. Score Only. Composed 2007. Editions Durand #DF 01569800. Published by Editions Durand (HL.50564852). 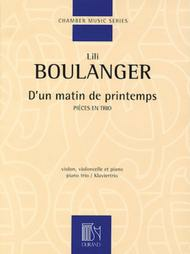 Score and individual Parts for Lili Boulanger's D'un Matin De Printemps for Violin, Cello and Piano.